The iPhone maker's market cap now accounts for 4 percent of the S&P 500. 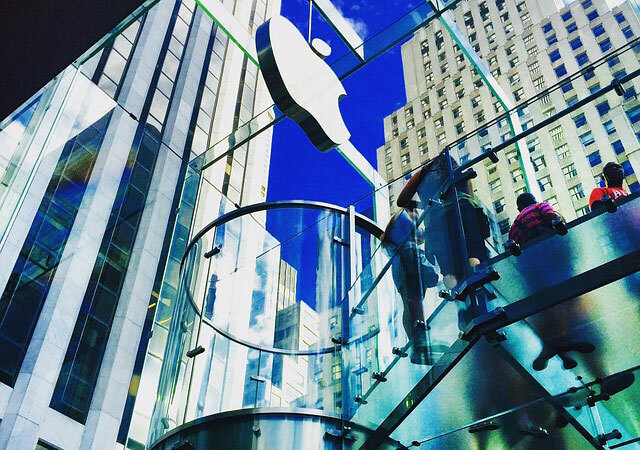 Apple’s stock jumped nearly 3% on Thursday, August 3rd, to end Nasdaq’s trading session at $207.39. Four decades after it was co-founded by Steve Jobs in a Silicon Valley garage, the ticker’s closing price-per-share officially made the iPhone maker the first publicly listed U.S. company worth more than $1 trillion. In a memo to employees obtained by Reuters, Tim Cook, Apple’s chief executive, praised his team for the milestone, but reminded them it was “not the most important measure” of the company’s success. “Financial returns are simply the result of Apple’s innovation, putting our products and customers first, and always staying true to our values,” Cook wrote. Apple (NASDAQ:AAPL) has rallied more than 9% since Tuesday, when it reported strong earnings for its June quarter – $53.3 billion in revenue, up 17% on year-over-year basis (y/y) and $11.52 billion in net profits, up 32%. Perhaps more importantly, the tech giant’s Services segment – seen as a crucial element in supporting AAPL’s higher multiples, brought in $9.55 billion, nearly a full billion ahead of expectations. Needless to say, by outperforming estimates, Apple shares, while still cheap, continue to reflect the company’s strong fundamentals. The iPhone maker’s current 22% profit margin, 12.2% return on assets (ROA) and 45.4% return on equity (ROE) figures are obviously impressive and substantially above average. And let’s not forget here the company’s $100 billion share repurchase plan, as well as some $150 billion in cash and cash equivalents on its balance sheet–a number that’s growing daily. Furthermore, AAPL, which has gained 33% in the last 52 weeks and more than 20% year-to-date, it’s not expensive. In fact, the stock trades at a modest 15x 2019 EPS estimates, much lower than the S&P 500’s 17.5, and as mentioned, too cheap to properly reflect the company’s growth prospects. Apple’s forward earnings are also cheaper compared to Google parent Alphabet (NASDAQ:GOOGL), Amazon (NASDAQ:AMZN), Facebook (NASDAQ:FB) and Netflix (NASDAQ:NFLX) multiples, 25, 72.5, 21.3 and 78.5, respectively.